At Thailand's Best, you can expect to enjoy carefully prepared dishes that have strong aromatic components. We take time to ensure the quality of every authentic dish exceeds your standards. In addition to the bountiful and flavorful taste of Thai food, the traditional ingredients, such as turmeric, galangal, coriander, lemongrass, and fresh chilies have immune-boosting and disease fighting power. Thailand’s Best proudly serves Tom Yum Gang, too! As you can see, not only is Thai food the most popular and flavorful food in the world, it is perhaps, one of the most healthy! Thai people are known for their warmth, kindness and smile. At Thailand's Best we are happy to serve you and welcome you to our family owned and operated restaurant. Our staff believes that your dining experience should be more than just the quality and taste of the food. At Thailand’s Best we hold customer service in high regard. The food, atmosphere, authenticity and customer service all culminate into one fantastic dining experience that you won’t forget. We are conveniently located off of Highway 98 in Navarre, FL, adjacent to some of the world's most beautiful beaches. We proudly serve the military communities of Hurlburt Field and the Pensacola Naval Air Station (home to the world famous Blue Angels). We are close to the popular resort towns of Destin, Fort Walton Beach, Gulf Breeze, and Pensacola Beach, FL. We recommend making reservations during peak hours. We also accommodate pre-orders and take out service for those on the go. 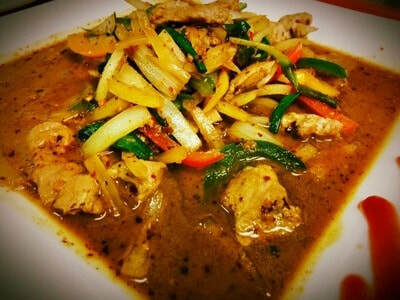 Thai food is undoubtedly one of the most popular cuisines in the world. Its popularity stems from the bountiful flavors, spices and aromas that are unique only to Thai food. Thailand prides itself on this unique heritage. At Thailand's Best, you will enjoy the taste and flavor of both the old and new world. Thai food is often mistaken with Vietnamese food. Although there are some similarities in cuisines from other East Asia countries, you will find there are vast differences between these two types of popular foods. Thailand shares its borders with Laos, Malaysia, Cambodia and Myanmar and the heritage from these countries has influenced the unique taste of Thai food; however, once you experience Thai food, you will discover that there is no other food quite like Thai food! Here you will find a unique variety of seafood, stir-fry, noodles, salads, soups and curries. In addition, all of our ingredients are made fresh daily. 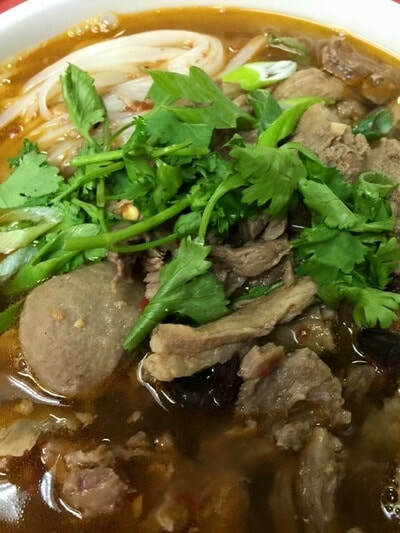 We avoid using non-traditional ingredients and, unlike most other Thai restaurants, we do not add MSG to our dishes and use natural and local ingredients from the Navarre area as much as possible. 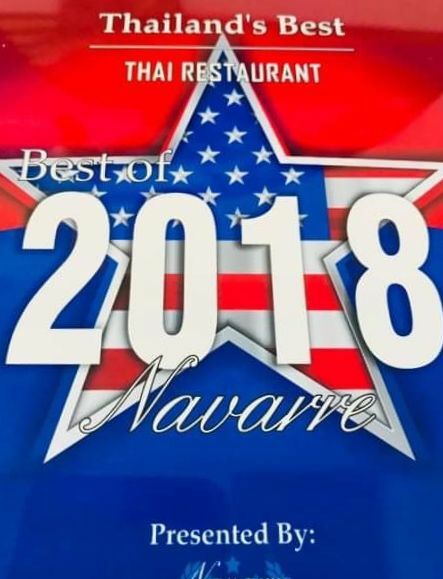 Our customers, whether from Navarre, FL or traveling from other parts of the Gulf Coast or United States agree that you will not find better, more authentic or fresh Thai food than Thailand's Best in Navarre, FL. 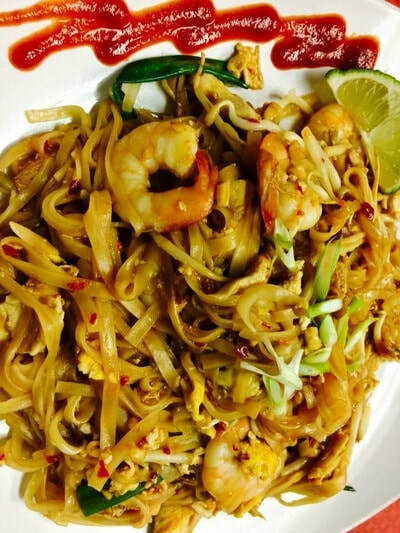 In fact, we are very proud of the fact that Trip Advisor rated Thailand's Best as the "Top Three Best Thai Cuisine" in the entire Florida Panhandle and the "Top Ten Restaurant" in Navarre, FL with nearly a perfect 5-Star rating! We take great pride in our customer service, atmosphere and food and that continues to fuel our passion to deliver the best Thai cuisine on the Gulf Coast. We strive to be the best and our goal is to be the #1 Thai Food restaurant on the Florida Gulf Coast and one of Florida's top restaurants. At Thailand's Best, it's not just about the food; it's about the experience. Our aim is to treat you as our very special guest that will continue to dine with us, whether this is your first time experiencing Thai food or if you're a regular connoisseur. 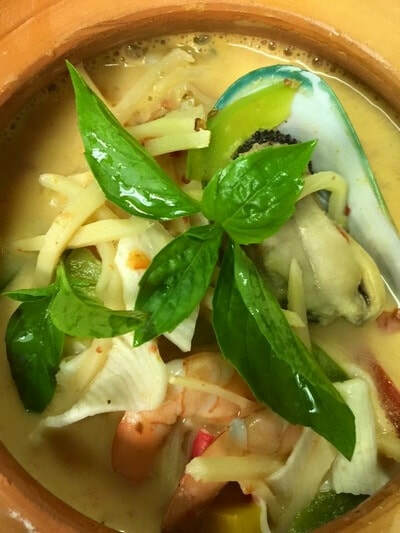 The moment you step into our restaurant, we hope that you experience the atmosphere and excitement of stepping in to an authentic, family owned Thai restaurant, similar to what you would find throughout Thailand. When people enter Thailand's Best, they are often captivated by the aroma enriched with spices, curries and sauces. The unique spice of Thailand is home to some of the most abundant, flavorful and exotic spices in the world and at Thailand's Best, we hope to share that experience with you. Although many Thai dishes can be prepared hot (spicy), you can also enjoy Thai food with little or no spice without sacrificing the succulent flavors and spices. We can accommodate all levels of "hot" depending on your individual preference. Traditional Thai food satisfies all the taste buds, to include the sweet, salty, bitter, spicy and savory sensations. In addition, presentation is very important when serving Thai dishes. Thai food is historically an “art” and at Thailand’s Best, we take pride in serving food that is visually and artistically pleasing, too. Lastly, Thai food is traditionally known to be a soothing food that is nutritious and easy to digest.